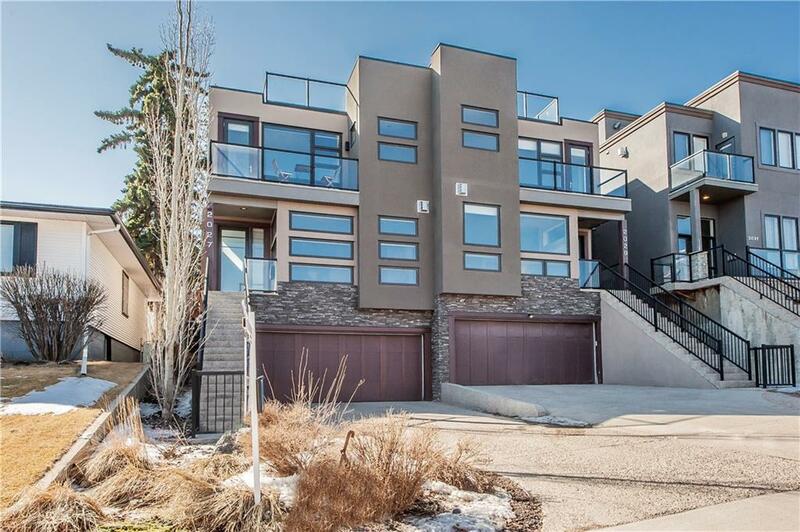 Architecturally designed to fully showcase the spectacular downtown views from all angles, this magnificent contemporary hillside estate is positioned in the heart of Marda Loop. Just south of downtown it offers over 3100 sq. ft. of luxurious indoor and outdoor living space. 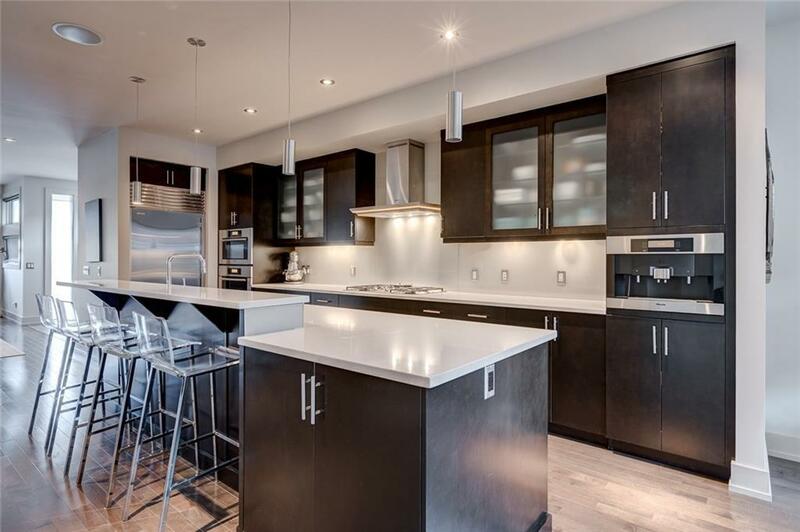 The kitchen is a chef's delight with full-height espresso cabinetry, quartz counters and all Miele appliances including an espresso station. 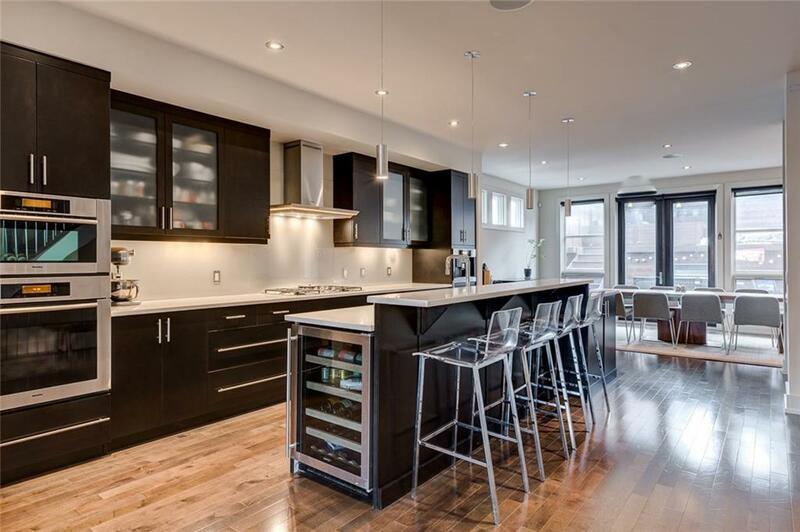 The open concept main floor design showcases hardwood floors, a floor-to-ceiling fireplace, 9 ft ceilings and extensive custom millwork. The master suite has a walk-in closet with built-ins and a luxurious ensuite with a soaker tub and steam shower. 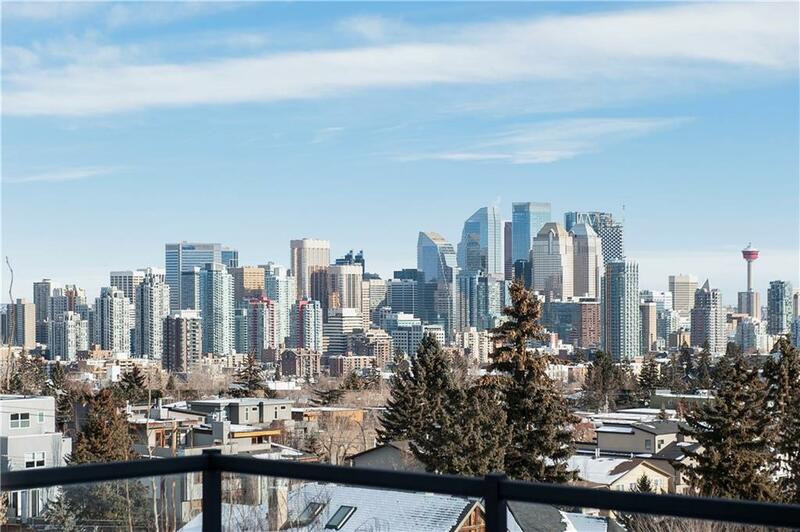 The third level hosts a family room with a wet bar and access to the rooftop patio where you can enjoy the incredible downtown views. The private backyard entertaining area is this homes hidden gem with its tiered deck built to complement the natural landscape, fireplace and built-in barbecue. Call today!